Food is an essential element of human survival. Due to the increase in population, the demand for food is increasing day by day. The Food business industry is a profitable business, so many people are choosing to be the means of earning. Anyone can start his own business as a career in the food business industry. The success of any kind of business depends on a good idea and proper planning. Here I will share with you 18 most profitable Food business ideas for 2018 that you can start easily. Bakery: Bakery business is one of the most profitable business ideas in the food business. You can start a bakery business in two ways. By establishing a bakery, you can sell bakery item by your own store or you can wholesale. Buffet Restaurant: Buffet restaurant is a growing business idea. Crowded place and a specific business plan are important for success in this business. Candy Making: Basically, candy making business is a home based business idea and a potential way to make money. Sell pop Corn: It is another good business idea. Buy a popcorn machine and start your business easily near the school, college or market. The coffee shop business has been growing over the past decade. You can start this business as an independent career. A good location should be needed to succeed in this business. 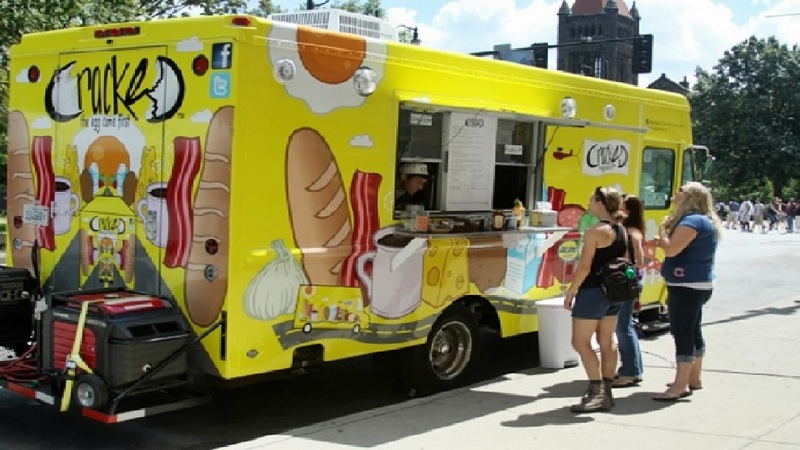 Food truck: You can start the Food Truck Business with the most demanding food items. To start this business you need a vehicle according to your food items. Juice Bar: Nowadays, most people are very conscious about food. Balanced eating habits have increased the probability of Juice bar business. Make Biscuit: Making biscuit is a profitable business idea. Need a specific plan to start this business. Ice-cream Stand: If you prefer to spend time with people, then the ice-cream stand business is suitable for you. It is an enjoyable business idea with small investment. Make Tea Bag: The T-Bag is made from filter paper. A tea bag making machine and a strong marketing strategy need to start this business. Make Tomato Paste: If you want to start the processed food business then you can start with a tomato paste processing business. To be successful in this business requires good quality products and a great marketing strategy. Rice Processing: There is a huge demand for rice worldwide. Rice is considered the main food in many countries of the world including Bangladesh. If you have a medium starting capital then you can easily start rice processing business. If you want you can export rice abroad too. Sugar Processing: Sugar has a huge market all over the world. Sugar is used to produce various food products. If you want to start a food business, you can start a sugar processing business as a profitable business. The Pizza is a delicious meal. Pizza Delivery Business is a creative business idea. You can earn more profits by starting this business. In this case, you have to reach pizza at the door of the human home. Cooking School: If you can cook well and enjoy cooking then you can open a cooking school. Basically, this is the concept of a home-based business. Retailing of Breads: In Food products bread has lots of demand. You can start this business by investing a small amount of capital. Buy different types of bread from different bakeries and sell it from your own retail store. Fruit Mart: There is no doubt that fruit has a huge market. The fruit fulfills the needs of various types of nutrition in the human body. Fruit Mart business is a profitable business idea. Fruit is one of the favorite foods of all ages. This business can start with a little capital. To protect the hands from scratch, the fruits should be stored well. Fast Food Shop Business: Fast Food Business is a very popular business idea. Anyone can start this business with the necessary training. A location and proper business planning are necessary to succeed in this business.